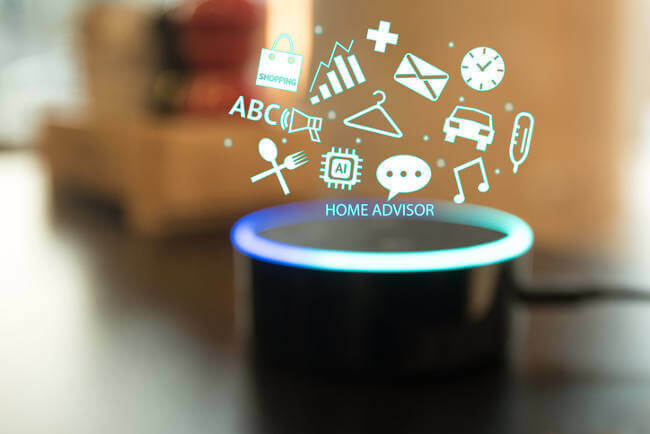 Digital assistants like Amazon’s Alexa, which is the persona associated with the Amazon Echo, have made existing technology even more convenient. They’re most often used in smart homes, but the Amazon Alexa Skills kit has many uses for the office as well. Voice: Say “Alexa, open [name of skill.” This is the fastest method, but you obviously have to know the exact name of the skill in order to turn it on. App: Open the navigation menu on the left-side of the Alexa app and tap “Skills.” From there, simply enable the skills you want to use. As you’re jumping around from task to task throughout the work day, it can be easy to forget about important meetings. FreeBusy Scheduling Assistant is the solution. It integrates with Alexa and Microsoft Outlook, Office 365 and Google Calendar to set up meetings and give you reminders about upcoming appointments. Alexa can dig through your Amazon purchase history to reorder items you’ve bought in the past. For example if you’re low on pens, just say “Alexa, order some more pens.” The order will be processed within seconds and you can get back to what you were doing. We’ve written about how convenient Wunderlist is in a previous blog, but combining it with Alexa makes it exponentially better. You can use it to add tasks to your to-do list, find out due dates and much more, all with simple voice commands. Astrobot is one of the best free Amazon Alexa Skills for managing your emails. It integrates with both Gmail and Outlook, and can read emails out loud, send responses and organize your inbox, all based on your dictations. Notion takes it a step further. It will scan your incoming emails for key questions that warrant an immediate response and notify you so you can respond accordingly. Alexa can find service providers, ranging from plumbers and handymen to caterers and limo companies that are listed on Intently.co. Just tell Alexa what you’re looking for and you’ll be connected to a qualified professional. Using Amazon Alexa Skills in the workplace isn’t for everyone, but they’re certainly worth a try. When used correctly, they can help streamline your business’ productivity so more can be accomplished. Are there any Alexa Skills you use that we left out of this blog? PreviousPrevious post:What is a Firewall, and why should my Business have one? NextNext post:Are the new iPhone X Features really Worth the Money?